I’ve been wanting to shoot at this location pretty much since the day I started blogging 4 years ago, and we FINALLY DID IT! Can you believe it’s only 30 minutes from our house? It felt as though I was transported to a land of make-believe and I was a real life fairy princess. At heart, I’m OBSESSED with artistic fashion photography, and this shoot made every single one of my dreams come true. My heart is so full of love for these pictures! The pictures turned out fabulous! I’m so glad you guys finally got to shoot here. 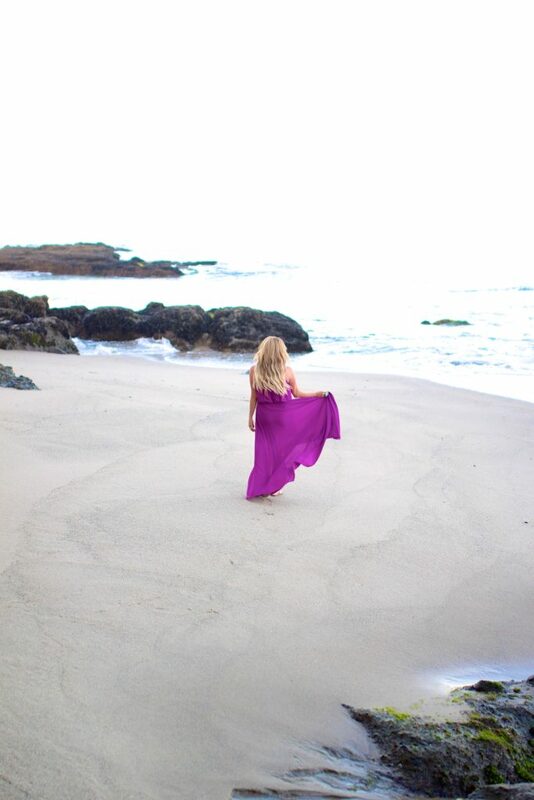 And this bright purple maxi dress is the perfect piece for the location. And how fun is that statement ring?! Hope you guys had a great weekend and Happy Monday! I love the dress. Such a gorgeous color on you. Magenta Marvelous! Only 30 min! That’s fabulous! What a beautiful backdrop for the stunning and sweet Princess that you are! Happy Monday gorgeous! 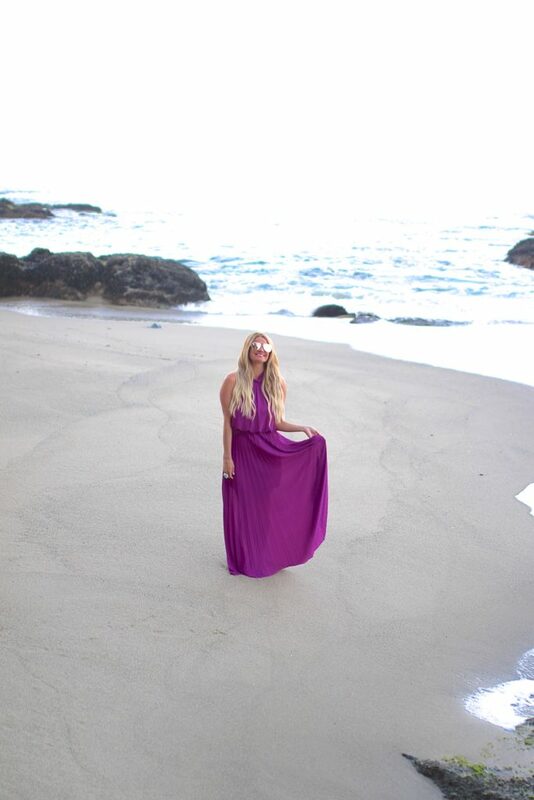 Such beautiful photos and I love your maxi dress! These photos are breathtaking Shauna! And that maxi dress on it’s own is beautiful, but what I really love is how well it goes with that turquoise statement ring! Makes the whole look pop! Girl, I LOVE IT!!!! Perfect dress for the location too!! WOW Shauna, this dress looks amazing on you, I love the color! These photos are gorgeous and the location is fabulous! I know that is one of the best things about blogging shooting and learning about photography. And I see why you would want to shoot here wow! No I can’t believe this 30 mins from your house. And I must say you picked the perfect dress for this location. Ahhhhh how gorgeous is this post!! I am in love with the dress, the colour, the location – absolutely everything is beautiful! These pictures are fantastic! I wanted to visit this location when we were in the area a few months ago but with my son it wasn’t feasible. Love the color of your dress. So eye catching and vibrant. Wow only 30 mins from your house? It’s absolutely dreamy!! And the color of your dress really pops!! What a gorgeous dress and a dreamy location to shoot! Just 30 mins away? This would be my getaway spot to come read a book quietly on my own! 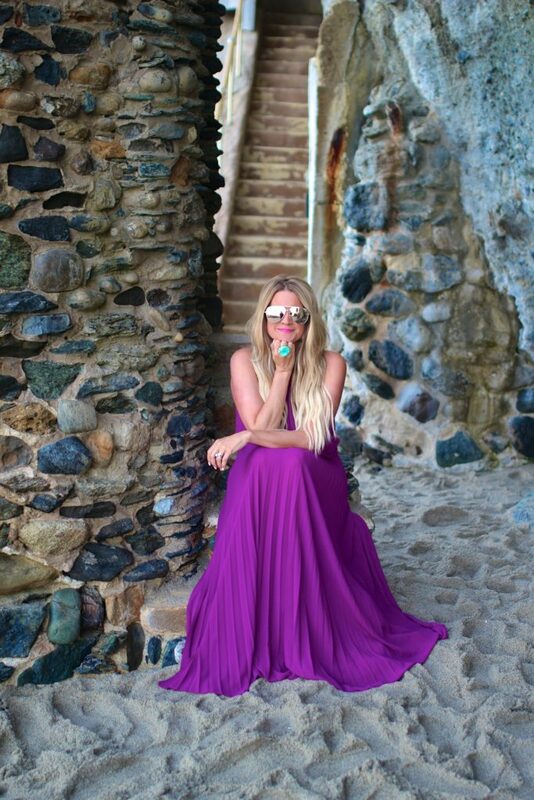 That castles in the sand location is stunning and so are you in the gorgeous violet maxi!! You are an absolute dream!! This shoot turned out so awesome! You look like a beach princess here! These photos are so pretty! I love that dress. Such a beautiful place ♥ photos are amazing! This place looks beautiful and so close to your home too. The colour of this dress is just a amazing! That is such a stunning location, and you chose the perfect dress for the occasion! I hope it doesn’t take you another four years to get back there! Wow. What a place, you look like a beach princess! I love the location , your hair is lovely with the waves and that dress is a beautiful color on you. stunning pics. Such a fab dress you have here dear. Pretty luxurious color, and that flowy and elegant style looks so perfect on you. Your photos are amazing too dear. Nicely done! CANNOT believe this is so close to you!! It’s absolutely gorgeous and totally dream-like. Love that dress too! These photos are gorgeous! What a beautiful spot, and I love that dress on you! These photos are absolutely amazing! You look like a mermaid!